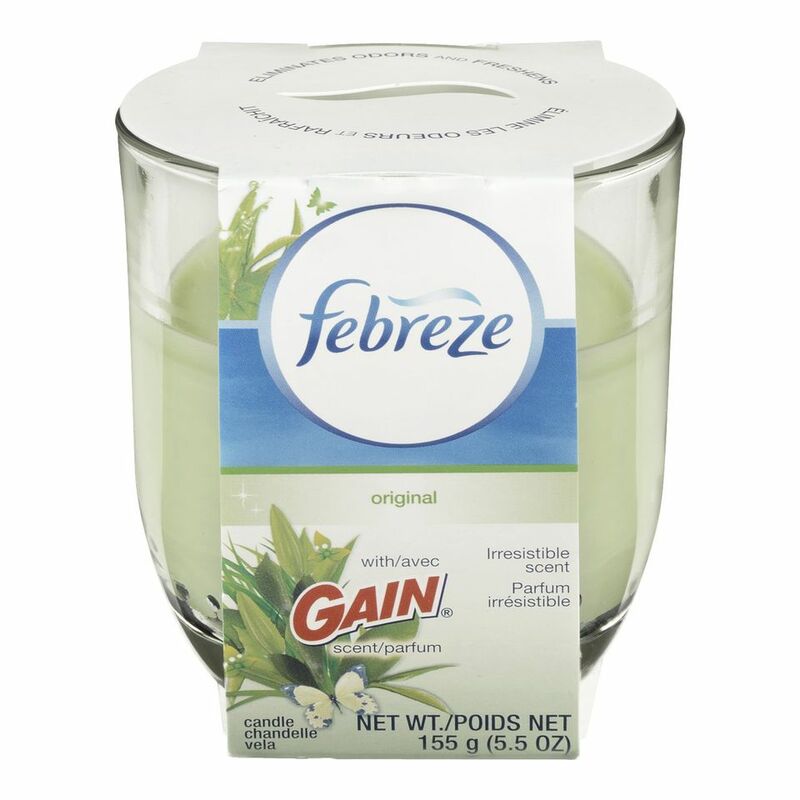 The Febreze candle is priced reasonably and performs well at eliminating odors. The candle is a nice compact size and still burns for up to 30 hours. It's a good choice for people who want to eliminate odors and add a hint of scent without completely overwhelming a room with candle odor. There are six choices of colors and scents so you can choose different options for various rooms in your home. Available scents include meadows and rain, vanilla and refresh, apple spice, linen and sky, spring and renewal, lavender, and vanilla. The candle weighs 5.5 ounces. Thirty hours of burn time per candle. Emits a nice pleasant scent and eliminates odors without overwhelming a room. A smoky scent lingers when it's blown out, even with a trimmed wick. Homemade taco night was the perfect chance to put the Febreze Candle to work. After reading the instructions and trimming the wick to 1/4 of an inch, we lit the candle and cooked up a storm. Performance: When dinner was done, the kitchen was the only place that had a hint of cumin. We continued to let the candle burn for another 45 minutes as we finished dinner. We were impressed by how cumin-free the downstairs was, and even more impressed by the fact that we could smell a slight hint of apple and spice from the candle, but it in no way overwhelmed the home. This is particularly important if household members are sensitive to smells. Cons: The only problem with the candle came when we blew it out after 90 minutes. The candle continued to smoke for a few minutes, sending a very smoky smell back into the air. It faded away after a few minutes, but we were disappointed that we had a slightly smoky smell in my kitchen. The Bottom Line: Overall, though, the Febreze Candle is a great buy for the money. It sits discretely in any location and eliminates odors with a special core that traps smells. It burns for 30 hours without filling your home with overwhelming scent.